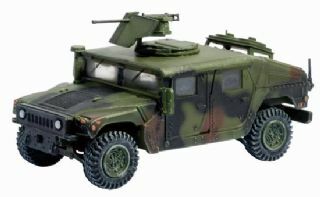 The AAV7A1 family of vehicles is the newest rendition of the LVTP7 that originally made its appearance in 1971. 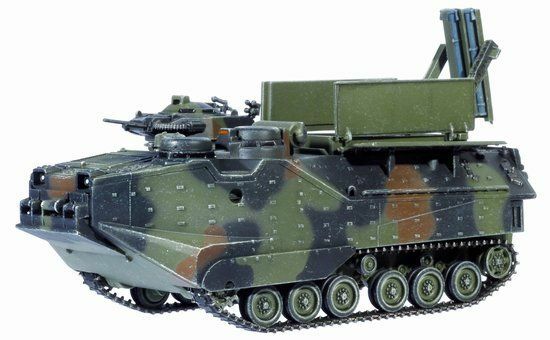 Developed by FMC Corporation (now United Defense, LP), this 17-ton amphibious vehicle can achieve speeds of up to 64km/h on roads and 13.5km/h in water. 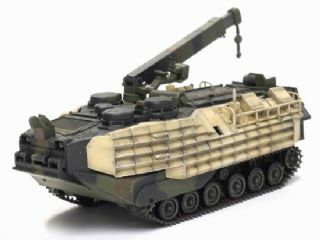 It is the mainstay of the U.S. Marine amphibious vehicle fleet today, as well as being used by marine forces from a number of other nations. These “tuna boats” have most recently been proving themselves in the dusty heat of Iraq during Operation Iraqi Freedom (OIF). 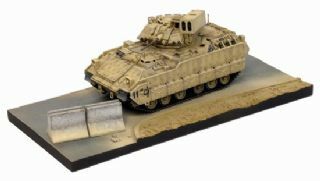 Dragon Armor has previously released a 1/72 AAVP7A1, but the newest member in the family offers something extra. 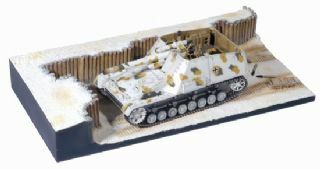 The new collectors’ item includes an accurately depicted MK-154 MICLIC (Mine Clearance Line Charge) system mounted atop the AAV. 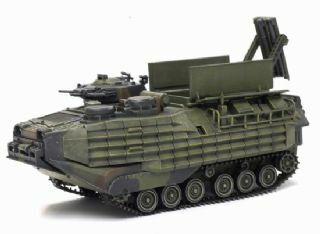 Firing up to three rocket-projected explosive line charges into a minefield, the MK-154 system can produce a safe lane up to 16m wide and 100m long. 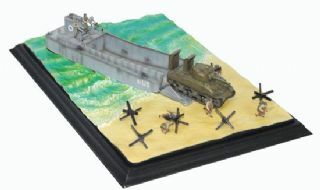 This self-contained electric and hydraulic mine-clearing equipment is ideal for beach assaults, and was deployed in OIF during the initial invasion. This particular model lacks nothing! 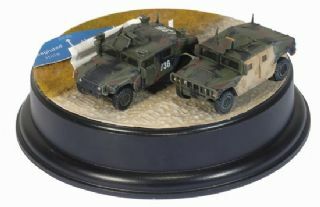 It is finished in a three-color NATO camouflage scheme. 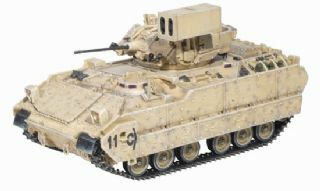 All the relevant detail of the real AAV7A1 is glorious portrayed. 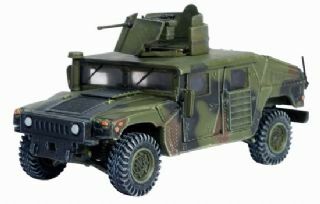 This unique model represents an unusual vehicle in the USMC inventory, one that is sure to please fans of modern armored equipment.